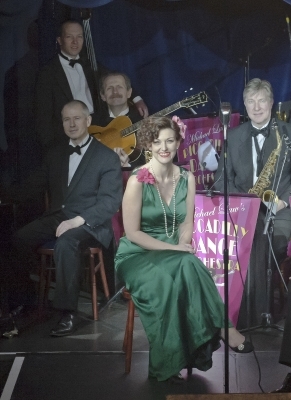 The best 1920s to 40s band in London for hire. 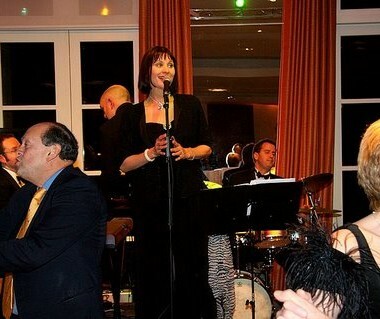 From swing, jazz and dance music to the great songs of Cole Porter, Irving Berlin and many more. The leader of 78RPM (who is also the founder of The Piccadilly Dance Orchestra) can himself provide a Noel Coward solo act. 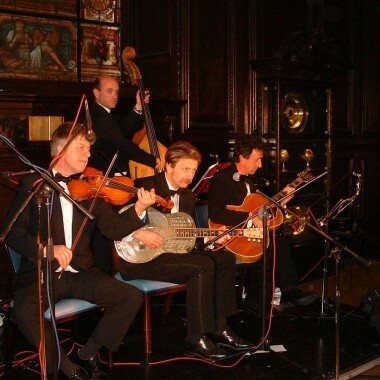 78rpm can contain anything from two to eight of London’s top musicians, who play the great music of the Art Deco era, the 1920s to 1950s, with tremendous style, sophistication and a great rhythm to make any event go with a swing. The songs of Cole Porter, George Gershwin and Irving Berlin (to name but a few) are loved by ALL GENERATIONS and lend themselves to marvelous dance music – probably the reason why 78rpm is so popular for wedding receptions, anniversaries and other special occasions. The classic six-piece 78rpm features a male or female vocalist, with saxophone, trumpet, piano, double bass and drums. If six performers are too much, just choose your favourites, for example saxophone piano and bass make a excellent trio, or you could add a vocalist to the trio and let the SWING and NOSTALGIA take over! Other musical options include adding a male vocalist to croon those Sinatra classics, or basing the band around violin and guitar to create that swinging “Hot Club of France” sound. 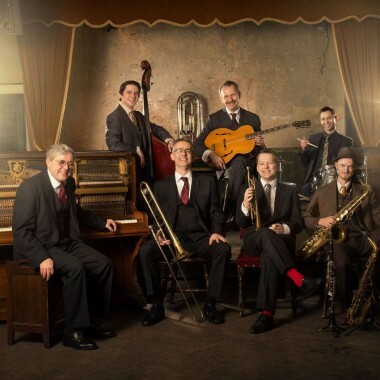 78rpm grew out of The Piccadilly Dance Orchestra, a superb twelve-piece outfit whose terrific success soon led to requests for smaller groups to provide the same delightful atmosphere and swinging music. Musical director Michael Law founded both 78rpm and The Piccadilly Dance Orchestra to recreate this unsurpassed era of popular music. His care with the orchestra’s repertoire combined with the talent of his hand-picked musicians is guaranteed to make any event a sensation. “What a marvellous contribution 78rpm made to our wedding..your music really did “make” the party and so many of the guests still refer to your “fabulous band”. “Just a quick email now we’re back from honeymoon to say thanks for the band and DJ for our wedding on September 5th. The band were excellent – so unobtrusive getting in and getting out afterwards and the music was excellent – right up our street and everyone commented on the quality of the playing. They even managed a few tunes from musicals which I hadn’t asked for but am from a musical theatre group and it looked like I’d planned it beautifully! And as for Brian the DJ – he was a superstar, he kept everyone dancing all night and then some, he played all the cheesy hits I’d asked for and more and was utterly professional but jolly good fun too – I will ask for him again for the next party/do I organise!